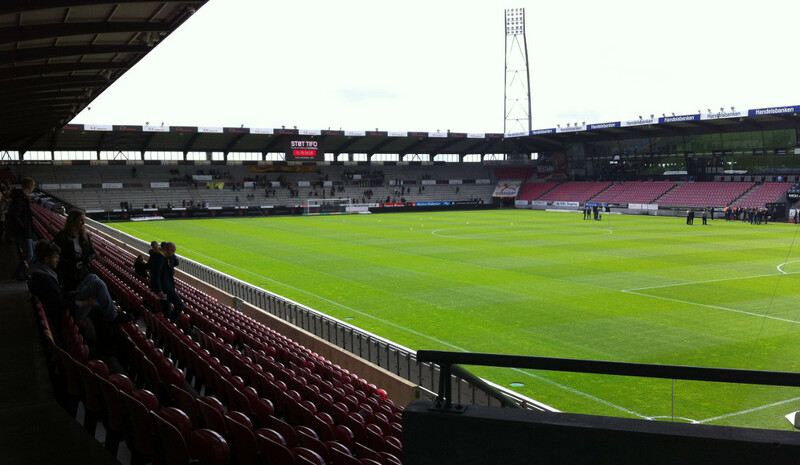 The MCH Arena got built in 2004 to provide Midtjylland with a new home. 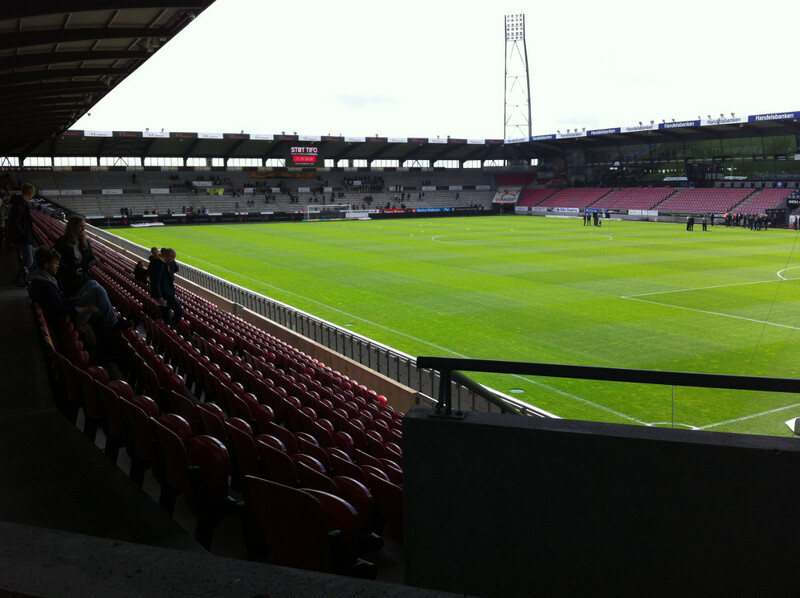 The stadium officially opened on 27 March 2004 with a league match between Midtjylland and AB (6-0). The stadium was initially called SAS Arena, but changed name in 2009 to MCH Arena following a new naming rights deal. The MCH Arena is located on the southern edge of the town of Herning, about 3 kilometres south of Herning’s main railway station, bus terminal, and town centre. It can be reached with either bus or train, though service is infrequent. Either catch a train to Herning Messecenter (2-minute journey), which lies a short walk from the station, or catch bus 4A and get off at stop Messecentret (8-minute ride). Frequent direct trains connect Herning with Copenhagen (3-hour journey) and Aarhus (1.5-hour journey). The MCH Arena forms part of a complex including a conference centre and the Jyske Bank BOXEN concert arena. It lies on the edge of the town bordered by farmlands and an office and industry park, and there is therefore little around in terms of eating and drinking, which is better done in Herning’s town centre. If you’re looking to stay close to the MCH Arena, then Hotel Herning, right next to the stadium, is your pick. Otherwise there are another 10 or so hotels to choose from in Herning, most in the town centre. Click here for an overview of hotels near the MCH Arena. If you’re looking to stay in a livelier place, then you might opt to stay in Aarhus, Denmark’s second-largest city, and travel in for the match. Tickets for Midtjylland games can be bought online, or in person at the ticket windows of the MCH Arena from 70 minutes before the start of the match. Tickets range in price from DKK 120.00 for a seat behind the goal to DKK 150.00 for a seat at the main stand. Standing also costs DKK 120.00. Tickets are DKK 15.00 cheaper if bought online. Email billetsalg@fcm.dk for more information. Fcm.dk – Official website of FC Midtjylland. Visitherning.com – Herning tourist information. Rejseplanen.dk – Public transport journey planner.